If you need help developing your SWMS, we are experts at assisting businesses with their SWMS requirements. 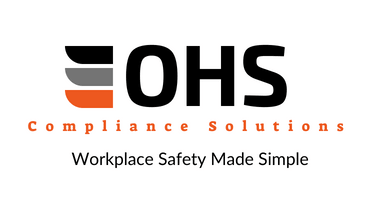 The primary purpose of a Safe Work Method Statement (SWMS) is to help supervisors, workers and any other persons at the workplace to understand the requirements that have been established to carry out high risk construction work in a safe and healthy manner. A PCBU that carries out high risk construction work must ensure a Safe Work Method Statement is prepared or has already been prepared by another person before the proposed work commences. A generic Safe Work Method Statement may be prepared and used for work activities that are carried out on a regular basis. The content of this type of Safe Work Method Statement may be refined over a number of years and include consultation with workers and other PCBUs. Prior to each new activity, the SWMS must be reviewed and revised to ensure it applies to the high risk construction work and the actual workplace. We have a Free SWMS template available for instant download and modification (SWMS Template). You may use this template to write your SWMS. In addition, if you want something that has been done for you, to save you the time or hassle, we are happy to write SWMS customised to your business. The SWMS include all steps, risks and controls and the relevant legislation for your state and operations.